If one thing is clear, is that few games have created as much anticipation over the years as Assassin’s Creed Origins. After all, this is Ubisoft’s latest instalment in the long-running Assassin’s Creed series, one of the best-selling and most popular video game series of all time. And although many gamers still remember the disappointment Assassin’s Creed Unity was in 2014, it’s unlikely Origins will be a let-down taking into account it’s been more than four years in the making, and that the preview videos and trailers we have seen thus far suggest this could end up being something special when it hits shelves later this month. Regarding the plot of this upcoming Assassin’s Creed game, the most interesting thing is that the game will explain how the iconic Assassin Brotherhood came to be (which is something that explains the Origins moniker). This could end up being an interesting journey in ancient Egypt, then, in which protagonist Bayek will go from being a Medjay at the service of Cleopatra to becoming the first Assassin of the Brotherhood, this being the subject of the game’s latest trailer (see below). 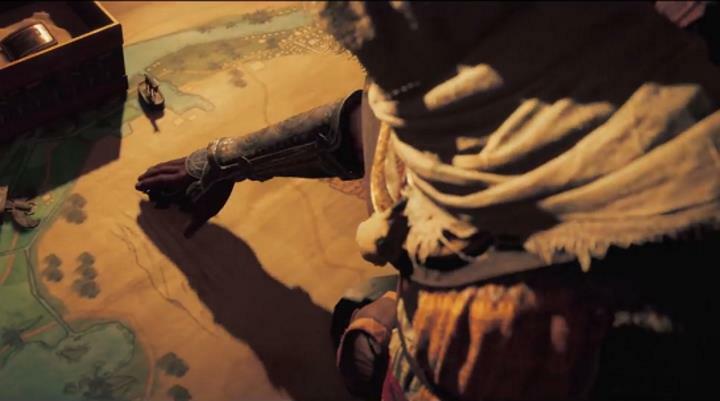 Aside from what could be one of the best stories in an Assassin’s Creed game to date, Origins is also refining the Assassin’s Creed gameplay formula, with Ubisoft boasting that the game will feature improvements to combat, RPG elements, a better sense of discovery and more. So here’s hoping Assassin’s Creed Origins lives up to the hype and ends up being a game that is as good as Assassin’s Creed II, the 2009 classic that’s still arguably the best game in the series to date.